What Happened to the CRT Monitor Market? 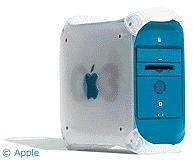 The last CRT monitor Apple sold under it's own name was back in 2001. It was the 17" Apple Studio Display featuring an ADC connector (which means that it only works in a limited number of Power Mac G4s). Since then, Apple has concentrated on its line of flat panel displays and dropped CRT models altogether. This means that if you want a CRT monitor for your Mac, you have to buy a third-party one. If you buy a Dell these days, unless it's the base model chances are that it's going to come with a flat-panel display, and the same applies to virtually all major PC manufacturers. The prices of flat panel displays have dropped enough that they're able to include LCD displays with all the machines they sell (or at least offer them as an optional upgrade at a reasonable price). The prices on Apple's LCD displays have decreased dramatically since Apple introduced them in 1998. Apple's first LCD model, a 15" display, sold for $1,999. Just a year later, the price was down to $1,099. The last 15" LCD display Apple sold went for $599 in 2002. Apple's least expensive monitor today is the $999 20" Cinema display, which they mention on their site is PC compatible (unlike the previous ADC models). Why would Apple decide to eliminate the bottom-end of their display lineup? The people who buy iMacs or eMacs already have displays built into their computers, so they don't need to buy one. Mac mini buyers are more likely to use their old display or buy a discounted 17" third party display. The reality is that since many non-Apple devices are now Mac compatible, most people won't be sticking with Apple-branded peripherals. For instance, the monitor I use with my blue Power Mac G3 is a 19" CTX CRT monitor, which is beige and doesn't match the computer at all. It doesn't matter, because my speakers are beige, my printer's beige - and the computer's under the desk anyway, so who's going to notice what matches and what doesn't? There's been a general drive toward pushing LCD monitors, too. It's a bit like the silver electronics craze that seems to be present these days. In the 1970s, high-end electronics had metal faceplates and typically either metal or wooden sides. When the cheaper electronics started coming with silver faceplates and (fake) wood sides, the high-end moved to black with an abundance of LED displays. That look stayed in for a while, until the low-end was able to catch up and every $59.99 ghetto blaster (even if it had an analogue dial) was black. In the past few years, middle and high-end electronics have moved back to silver (with blue LED's this time), and the low-end is starting to follow. For monitors, LCD displays have represented the high-end for a long time, and size didn't really matter. Now that prices have begun to drop, size is starting to matter (like it did with CRT monitors). You can get a 19" CRT monitor for under US$200, 17" for US$100, and the 15" CRT product has moved to the very low end. Apple doesn't want to be caught making low-end CRT monitors, which could be bought elsewhere for half the cost, for its high-end systems. There are benefits to LCD displays. They certainly take up a lot less space, and they use a lot less energy than even the most modern energy saver CRT displays, although they cost more. However, I still have to say that I prefer the image on a CRT. Although they have improved greatly over the past few years, LCDs still have a general "sharpness" to the picture that I find bothers my eyes. It's most likely caused by the larger pixels on LCD displays, but that may change as LCDs get better. Who knows, perhaps my next monitor will be an LCD.